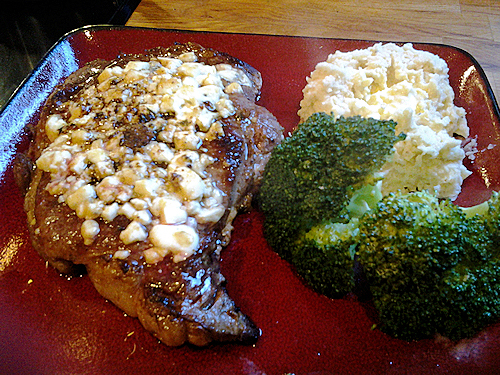 Blue Cheese Ribeye or Burgandy Mushroom? So tonight my husband said, “Baby when are we going to have steaks again?” with his little sad face acting like it’s been years. It’s actually been a week. 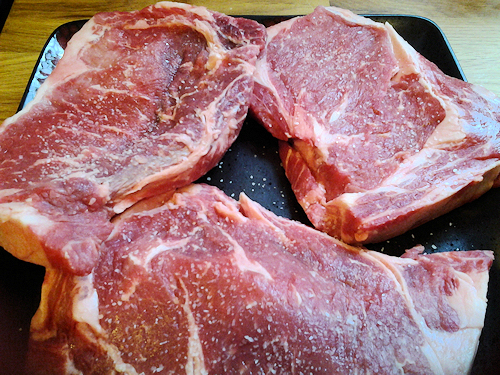 Nonetheless, I gave in and wrangled up some steaks. My daughter will not touch anything made of red meat these days without blue cheese so this was a must but I wanted mushrooms so I went all out and made both. 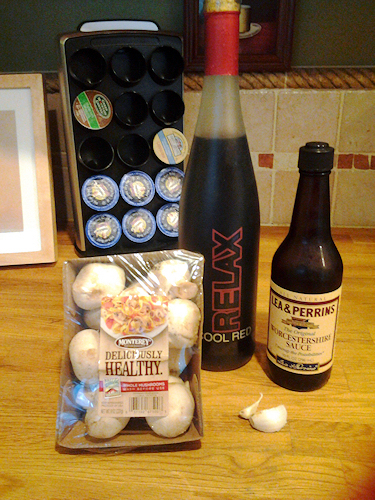 Here is what you will need for both. A nicely marbled ribeye (s) how ever many you are serving. About 1 inch thick is the standard. Salt and Pepper a nice grind over each so about 1tsp of kosher salt or ground sea salt and 1/2 tsp pepper ground or fine. 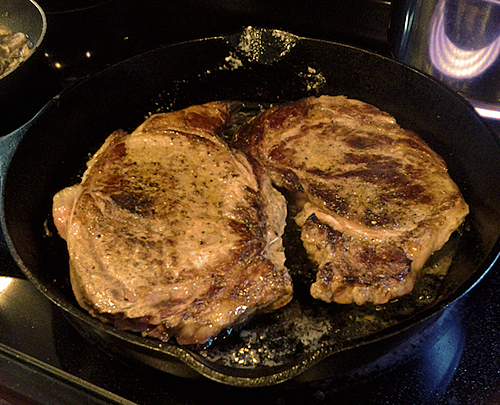 I use a cast iron pan when I’m pan frying steaks but if you don’t have one any pan will do. Get the pan hot on medium heat and let’s throw that butter in. 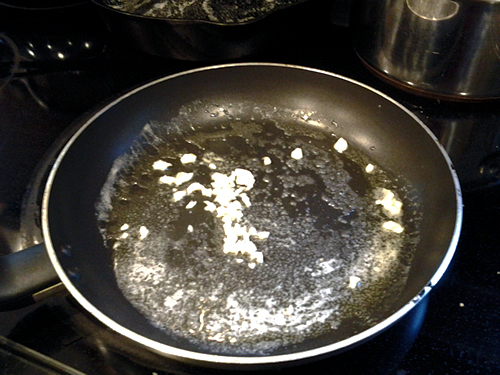 About 2 Tbs or 1/4 of a stick of butter (If you are not using cast iron you can spray the pan as well before adding butter or add a few tbs of Olive Oil then the butter in to melt.) You want the butter to brown but not burn. Next lay those seasoned steaks in the pan. I let them sear for about 1 to 1 1/2 minutes on each side (we are all medium rare eaters here) but by all means if you like them done more add another 2 min on each side for medium. 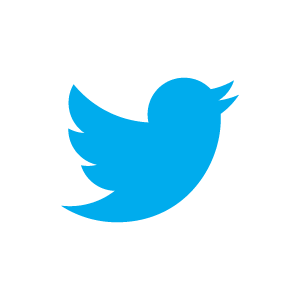 You can judge them by pressing your finger in the middle. The firmer they get the more done they are. 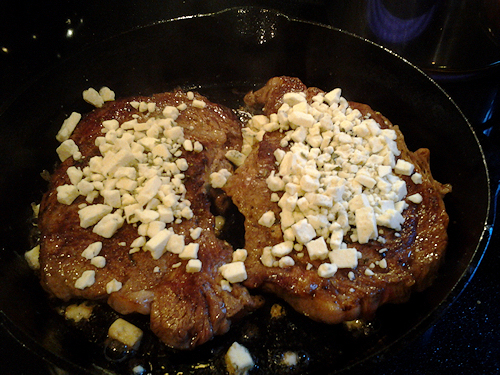 1/4cup per steak of blue cheese. 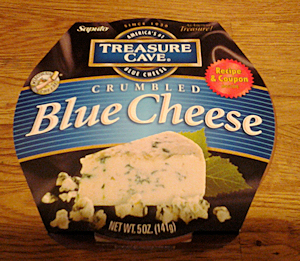 You can buy it in crumbles (this is what i had to use) or you can buy your favorite and do it yourself. Either way it will be wonderful. When you have flipped the steak for the last time it is time to choose a topping! I did “The Husbands” and “Little One’s” first, they love blue cheese and frankly I can’t stand them standing there staring at the steaks any longer while I cook. Sprinkle the blue cheese on each generously and then slide them into the oven under broil on low heat, until the cheese starts to melt. This should take about 3 minutes. Take out and plate. I went simple tonight with some steamed broccoli and garlic smashed potatoes for them. 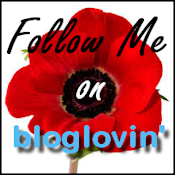 Now me! I love mushrooms!! Sometimes I think they call to me in my sleep. No not really I just like them a bunch. 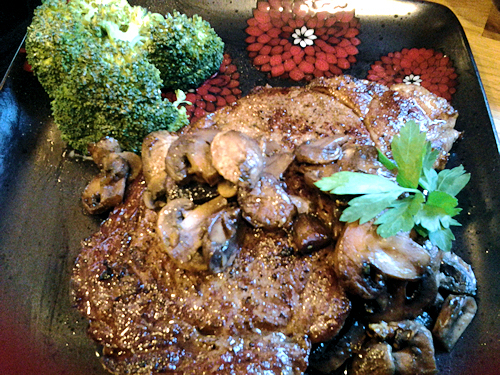 I asked the husband to slice the button mushrooms while I cooked my steak. Same directions as above for cooking the steak and seasoning. 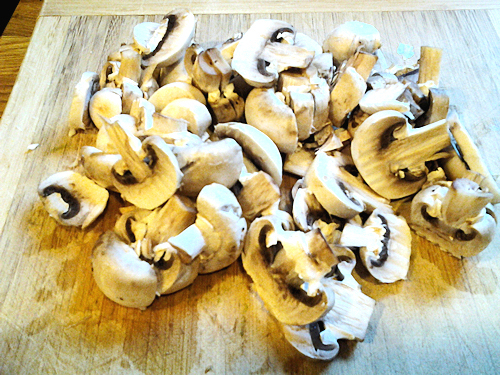 Let’s get the pan on the stove for the mushrooms! I added the butter first and let it melt over medium heat and tossed in the garlic. 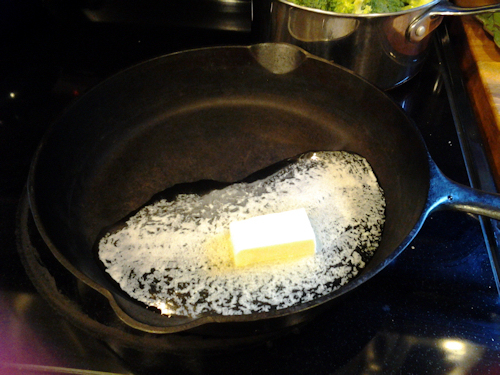 I added the rest of my ingredients into this buttered pan. 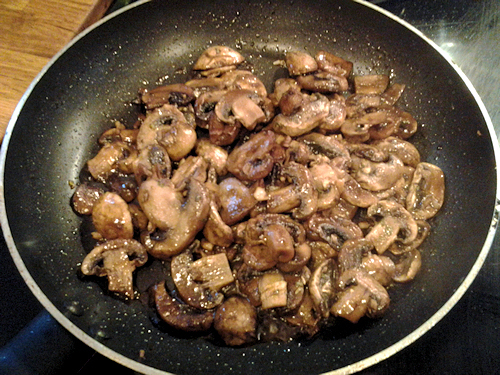 and Let it simmer for about 1 minute to let the flavors melt together before adding the mushrooms. 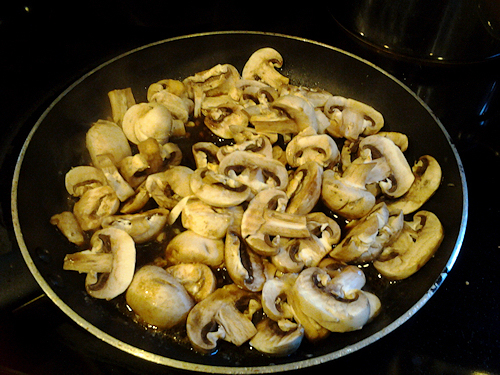 Once the mushrooms go in I toss them around making sure all of that wonderful seasoning covers each one and simmer. These generally take about 10 minutes on med to med high high heat. When they are done they should look like this. Now let’s put them where they belong! In my mouth! OK FINE! I say to the husband as he yells at me to put the spoon down from my lips and orders me to put them on my steak and come sit with the rest of them. Some people are so picky. So yea, then I put them on my steak and joined the rest of them. The end 🙂 Enjoy!! !